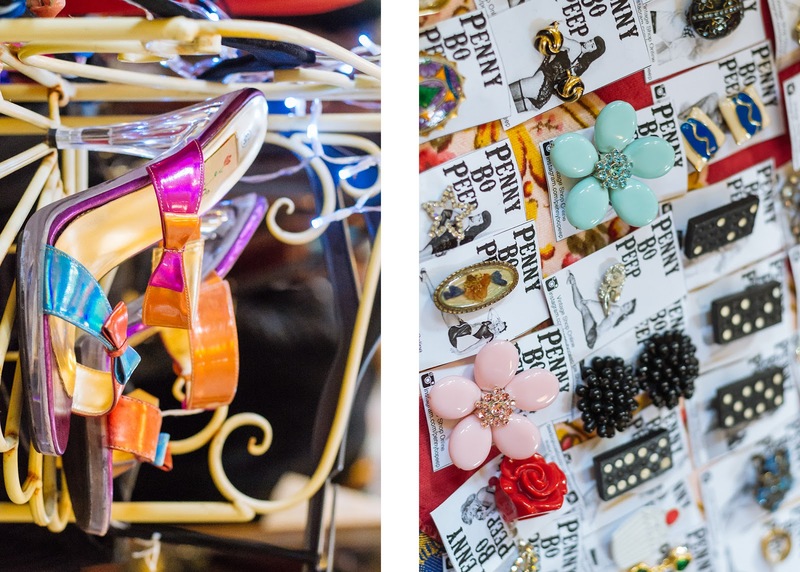 OUT & ABOUT: LouLou's Vintage Fair. | O. R. R. - Life & Style Journal. 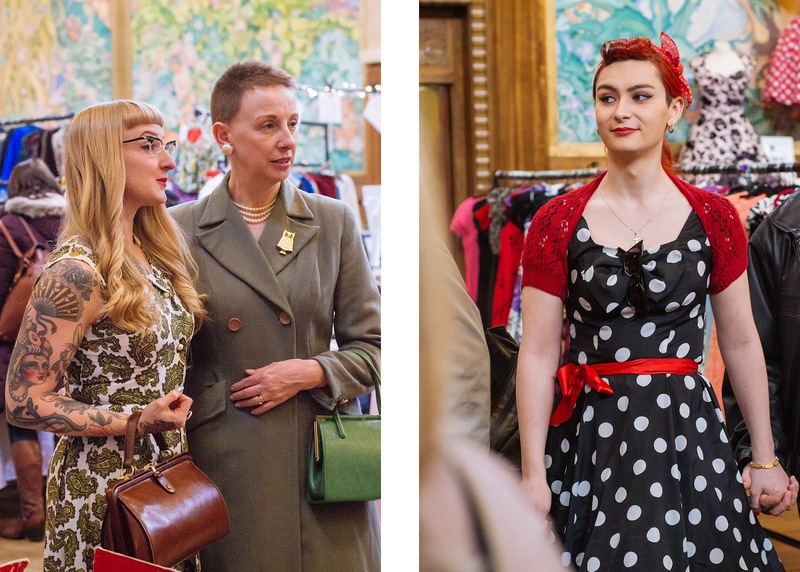 OUT & ABOUT: LouLou's Vintage Fair. 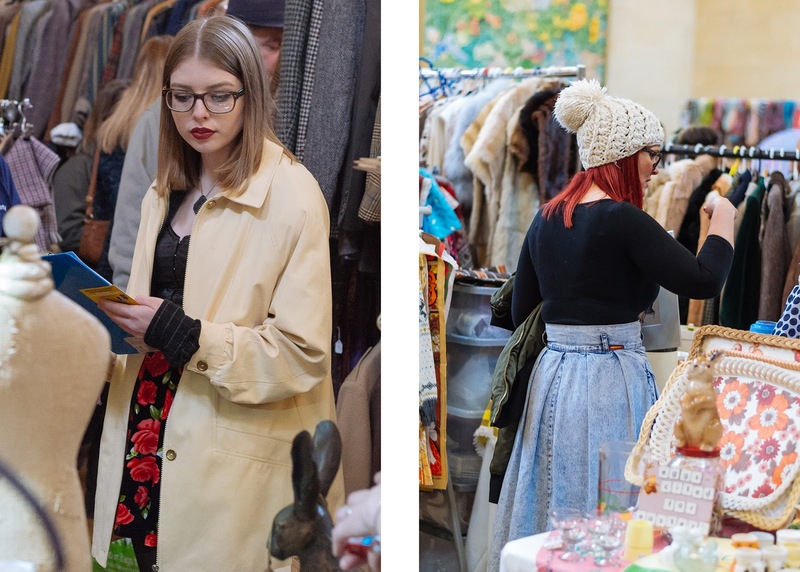 Charlotte and I had originally planned to attend the Cardiff LouLou's Vintage Fair event on Sunday but then we found out there was a Swansea one on Saturday, such luck. That saved us transportation money. It was held in Brangwyn Hall which is really beautiful. It's where my university holds it's graduation ceremonies and also where we have exams. I love the murals and the architecture. Everything, really. 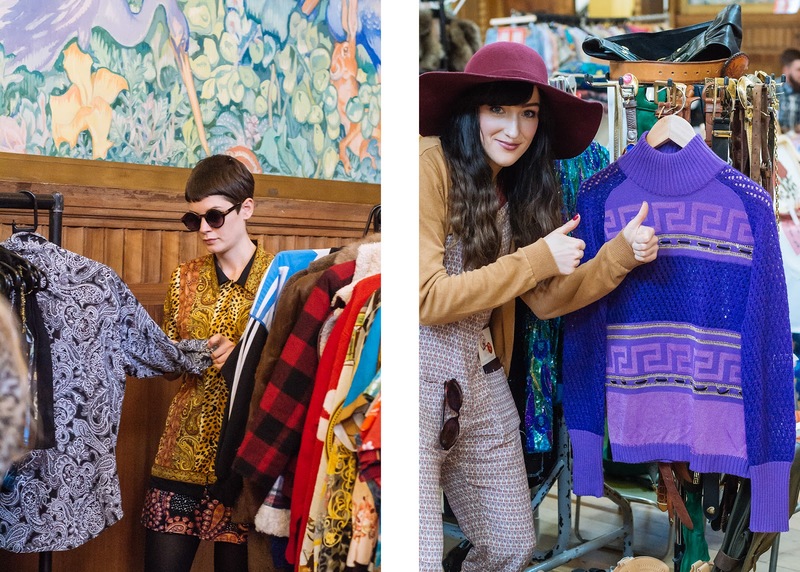 I found a purple vintage Versace jumper - cries internally - which I didn't get because I didn't need it. It would have been a great item to collect, I admit but I get panic attacks when I hoard things. The lady selling it noticed that I was wearing my vintage Versace jeans when I walked past and had a search through her things. She actually left it hanging in plain sight so that I would see it. Sale tactics, you know. Ha! Here's Charlotte giving it a thumbs up sign. There was even a salon & makeup section. Seeing as I'm not really into makeup, I didn't stop by. I think they were giving people vintage makeovers and hopefully not selling actual vintage makeup from say, the 60's? I don't think lipstick would still be good 50 years later. Amazing style everywhere, I wish I'd got more photos but everywhere was busy and crowded! There were loads of interesting things to see from homeware, to footwear, clothes, jewellery & handbags. Vintage records, players & vintage cameras etc. How cute is that teacup Oreo candle? At first I wondered who in their right mind would keep food next to scented candles but then I realised it was a candle after I poked it. Trust my inquisitive nature to get the best of me. Imagine if it was real and I'd put my finger in someone's drink? Charlotte didn't get anything although she did find an amazing tan 70's fringe jacket. I picked up two pairs of sunglasses and an overpriced vintage top. I only bought it because it was a unique piece and I need more loose tops in my wardrobe. Seeing as I'm always eating, they are much-needed. Gotta hide my food babies. I can't wait to blog an outfit post with it. After browsing, we had tea and cake from the Vintage Tea Company and then we left for town. It was a good day. Check out my Instagram video from the day.